The thought of a half-ton pickup truck achieving 30 miles per gallon (MPG) with a gasoline engine was unfathomable, just a few years ago. 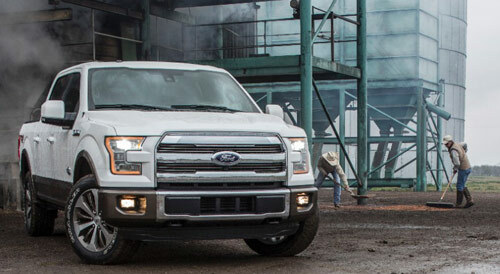 A 30 MPG rating for the 2015 Ford F-150 would be nothing short of remarkable. While the F-150’s gas mileage ratings have not been released for 2015, engineering leaps at Ford may have put that magic thirty within reach. The savings potential is based on three core technologies: lightweighting, displacement downsizing, and aerodynamics. You’ve likely heard that the 2015 Ford F150 is seven hundred pounds (or so) lighter than the 2014 model. 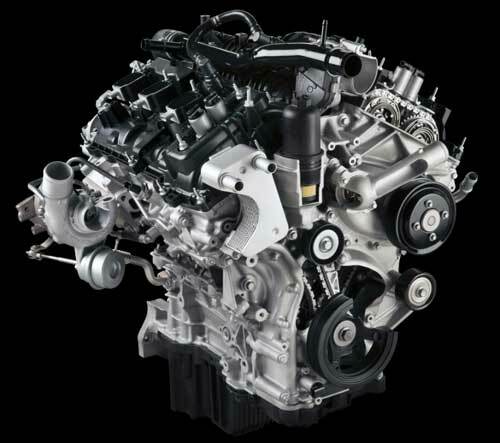 This dramatically lower curb weight allows Ford to use smaller engines (which are, in themselves lighter), and it all starts with the frame. 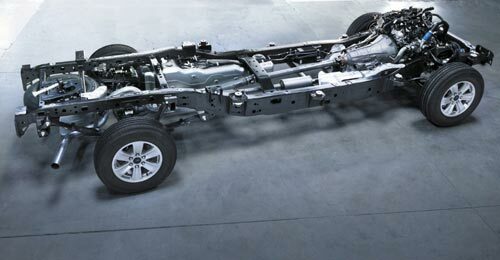 The F-150’s fully-boxed frame uses high-strength 70,000 PSI steel and shaves sixty pounds over its predecessor. Most of the chatter, however, is about the F150’s extensive use of aluminum. The 2015’s use of aluminum body panels might be the first on a pickup truck, they follow on the successful use of aluminum by Audi and Range Rover. It’s no secret that pickup trucks are among the most unaerodynamic vehicles on the road – they’re big, tall, and square. The F-150’s exterior designers were faced with the daunting task of keeping the truck’s visual DNA, while improving its aerodynamic efficiency. 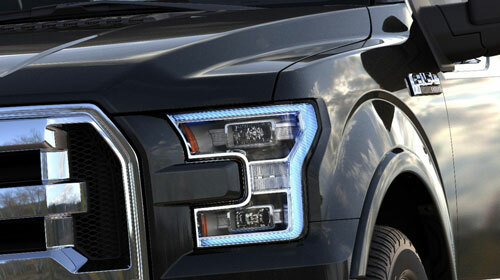 The new face of the truck features LED headlights that are as aero-slick as they are dramatic. The grille features active shutters that close at highway speeds to improve efficiency. Subtle aero tweaks can be found throughout the the truck, from the nose to the tailgate. What good will 30 to 40 mpg be when gasoline will cost between $4.00 and $8.00 dollars per gallon. Diesel will also increase considerably also. It will take some time for gas to reach $8 a gallon, and I think a 30 or 40mpg truck is a milestone that is nothing to sneeze at. Consider the math. A typical light duty truck gets about 25mpg, with a 20 gallon tank, that’s 500 miles on a tank at $80 or $160 ($4/$8 per gal). That same light duty truck that gets 40mpg will get you 800 miles on a single tank at the same amount. I think those 300 extra miles are significant. At least until hybrids and EV trucks become viable. Talk about all the mpg’s you want. The speed that people want to drive will only get you right back to the 18 to 20 mpg on the road or highway.